Dansk til dig offers specialised language teaching in Danish to all foreign citizens regardless of nationality, age, language skills or professional background. Dansk til dig is founded and owned by Rikke Quorning Poulsen, who has more than 15 years of experience with teaching of refugees and immigrants. Skive Køletransport is a well reputed transport company which handles many different jobs within transportation of goods and refrigerated produce mainly on the Danish market. 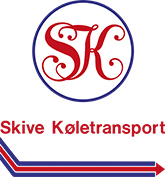 Skive Køletransport A/S was established in 1978 and has approximately 150 employees. In 2016 Skive Køletransport A/S moved its head office and all its activities to Hobro. Helle has more than 25 years of experience as a full-time reflexologist. Since 2005 she has provided courses to alternative practitioners, massage therapists and reflexologists. Ballard Power Systems Europe develops clean energy backup power systems, utilizing Ballard Power Systems’ PEM fuel cell technology for telecom suppliers including Motorola and Ericsson. Job vision is a Danish company helping and assisting people, who have become unemployed or wish to change their career direction. Jobvision also assists companies with recruitment and outplacement. JKS is a national temporary agency with divisions in the majority of the largest Danish cities, and with the main office in Ringkøbing. Væksthus Nordjylland offers consulting services to companies about growth potential, strategy, branding, innovation etc. Væksthus Nordjylland’s head office is located in Aalborg, however it has employees in the 11 municipalities in the Northern Region of Denmark, which all co-own Væksthus Nordjylland. The Business council of Mariagerfjord offers amongst other things: information about the region and local business activities, consultancy to new companies and entrepreneurs about housing, local possibilities, finances etc. and matchmaking with universities and other insitutions. Holtec Automatic A/S specializes in providing solutions in the field of control technology and automation that are tailored to match customers’ needs. Holtec offers complete solutions – from design to delivery – as well as subprojects. Web2Media is a consultancy company, who assists with optimization of websites such as keyword optimization, Google Adwords, social media etc. Web2Media has operated and coordinated several projects both in Denmark and in Europe. Graphia is an advertising agency, owned and run by Helle Hollen. Graphia produces both online and printed marketing material. TGW Logistics Group is a worldwide leading supplier of highly dynamic automated logistics solutions for warehousing, production, order picking and distribution. TGW is also general contractor and systems integrator with local entities in Europe, North-America, South-America and Asia. Varmeforretningen A/S is a plumbing company, which has existed since 1972. Madkontoret is a catering service owned by Anja Høenhof Vesterskov.